From Samantha Seiple, the award winning author of Ghosts in the Fog, comes the first book for young adults to tell the story of Allan Pinkerton, America's first private eye. Reading this book was very enlightening. Having read quite a bit about the Civil War, I'd heard of Allan Pinkerton, but after reading this it's clear that what I knew before was only the tip of the iceberg. Seiple provides a fascinating account of Pinkerton's move into the detective business and the impact he had on the new field. 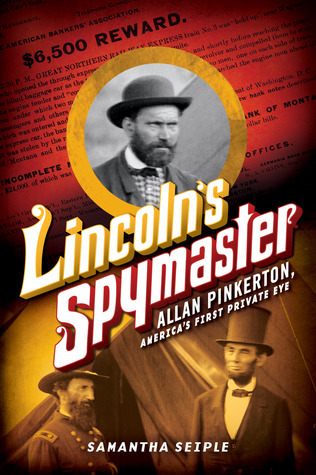 I had no idea that Pinkerton also helped start the secret service in his efforts to protect both Lincoln and other high profile officials including General McClellan. The man's determination and skill made him a formidable investigator and as a result there were numerous attempts on his life. But it never stopped him from continuing his work. I loved reading about his emphasis on honor and his hiring women to do work that many would have considered inappropriate. I found the last half of the book particularly compelling as I read about the attempts on Pinkerton's life and his agency's working to capture several famous outlaw gangs including the James-Younger gang. This is the kind of narrative nonfiction that works so well with the common core and it's a fascinating read that middle grade and YA readers may very well pick up on their own as well. Highly recommended. There aren't a lot of 'scary' books out there that are more funny than scary. This third book in the series revolves around Charles Nukid and some friends from Scary School heading out on an exchange trip with another monster school called Scream Academy. Unfortunately for Charles, their visit revolves around an old prophecy involving a human boy facing off with an evil dragon. But for Charles who constantly obsesses about following the rules the thought of facing a dragon makes him want to run away, plus just surviving the school itself seems impossible. The snide comments by the 'author', Derek the Ghost add to the snarky feel of the book. 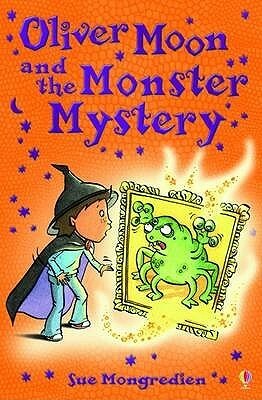 Lots of monsterly fun that works well for young readers who prefer a little less scary with their scary reads. After defeating the fearsome Ice Dragon, the students of Scary School were in full celebration mode with an awesome parade leading up to the Dance of Destiny. But when a bearodactyl snatches Charles Nukid and flies him to Monster Kingdom, his friends have to figure out a way to rescue him before he's served as lunch to one of the kingdom's horrifying creatures. Little do his friends know that he's actually been taken there to be crowned the next monster king after defeating King Zog in battle. But no sooner is he crowned than he is challenged by Turlock the Troll. While trying to avoid getting crushed by Turlock's crew, one of them breaks the Zombie Control Lever, which was keeping all the zombies of the world good and not ravenous for brains. 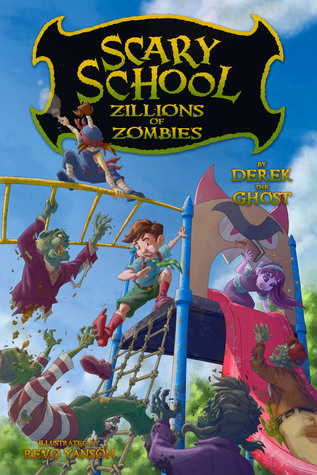 Charles's friends arrive in the nick of time after barely surviving a zombie attack at Scary School. Reunited, they now have to find the one unicorn in existence whose magic is powerful enough to turn all the zombies back to good before every monster and human alike are turned into the mindless brain-eating dead. Disaster strikes when Charles Nukid gets kidnapped by a bearodactyl and carried off to become the king of the monsters (much to his dismay). The problem gets bigger when he is challenged for the throne and the unicorn horn keeping the zombies under control gets destroyed. Feeling responsible, Charles sets off with Dr. Dragonbreath and his friend Penny to find a new unicorn horn. Meanwhile, the others at Scary School are forced to deal with the zombies trying to eat their brains. But things get worse instead of better with more and more characters turning into zombies and Charles having a falling out with his friends. Can a solution be found or will the whole world be zombified? 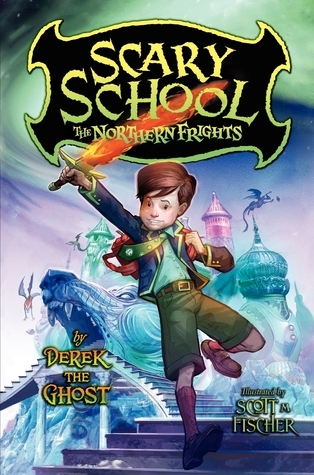 Despite the editorial issues (the book needed more editing, I found a lot of mistakes in it), the fun voice that is Derek the Ghost carries the day once again. I think the thing that I enjoy most about the Scary School stories is that they aren't overly predictable, there always seems to be some surprises jumping out at the reader, which makes for a lot of humor and unexpected events. A fun and final addition to the series. For as long as she could remember, Diva lived at 11 avenue Le Play in Paris, France. For as long as he could remember, Flea also lived in Paris, France-but at no fixed address. When Flea fl neurs passed Diva's courtyard one day, their lives were forever changed. 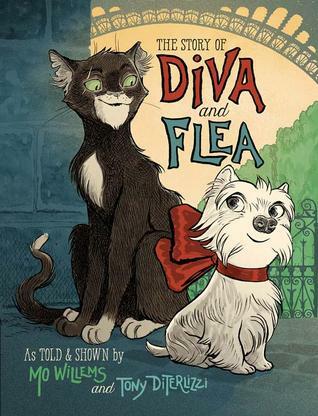 Together, Diva and Flea explore and share their very different worlds, as only true friends can do. This book reminds me once again just what I love so much about Mo Willems' books. And combining him with Tony DiTerlizzi is a genius idea. I fell in love with Diva and Flea immediately. Sweet, shy Diva lives in an apartment complex where she spends each day in the courtyard watching life pass her by. Flea, on the other hand is a flaneur, or someone who wanders just looking at the world around them, a streetwise cat. When Diva and Flea meet they have much to teach each other both about friendship and about enjoying the world around them. Willems and DiTerlizzi have perfectly captured the beauty in friendship, the joys and frustrations, and how much easier it is to step out of one's comfort zone when one is not alone. A beautiful story perfect for sharing at school or at home with gorgeous illustrations. I especially enjoyed the double spreads that are included at key moments, driving home the sweet parts of the story. I highly recommend this winning story for all libraries and homes, this is a must have. And a gift should be perfect— Guaranteed to bring delight. For each just-right thing.” ! When Mr. Fish—with his signature Pout-Pout Fish frown—comes up empty-handed, Miss Shimmer intervenes with a plan to make homemade gifts. He soon learns that it’s not about busting the budget or gifting the season’s hottest item, but giving from the heart. Together they experience the joy that comes from giving and sharing—the merriest gifts of all. 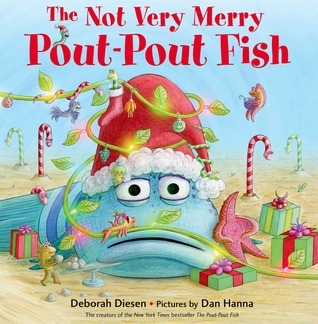 Written by former bookseller and librarian Deborah Diesen with illustrations by veteran children's artist Dan Hanna, The Pout-Pout Fish was a 2008 Time Magazine “Top Ten Children’s Book.” Since then, Mr. Fish has won over the hearts of millions of young readers as he Goes to School, faces the Big-Big Dark, learns to Smile, discovers how to Dream, and plays Hide-and-Seek. Today there are more than 2.5 million Pout-Pout Fish books in print. I find myself fully able to relate to Mr. Fish in his efforts to find the perfect gifts for his friends. I often have trouble with that myself. But the message here is very true, true gifts gain meaning when given with the heart. The delightful illustrations add plenty of cuteness and cheer for the holiday season. The creative gifts on the shelves in the illustrations make for fun perusing. I like the idea of truly giving of oneself to oneself being the best gift of all. 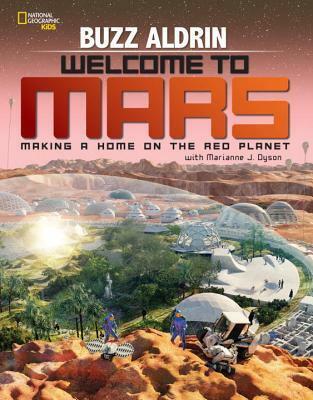 A great holiday read for school or for home. Deborah Diesen (www.deborahdiesen.com) grew up in Midland, Michigan, and started writing poems at a young age. She has worked as a bookseller and a librarian, and now works for a small nonprofit organization, but her greatest joy comes from writing for children. She lives with her family in Grand Ledge, Michigan. Dan Hanna (www.danhanna.com) has over ten years experience in the animation industry, and his work has appeared on BBC America and the Cartoon Network. He lives in Oxnard, California. How long have you been illustrating the Pout-Pout Fish books? What inspired your depiction of the main character, Mr. Fish? I started illustrating the first book in early 2007 and so it's been about 8 or 9 years now. About 15 years ago I was scuba diving in Fiji. There was a huge rusting hulk of a shipwreck about 80 feet down. At the end of a pole extending above the deck was a small metal basket. Resting in that basket was a pudgy fish about the size of my fist. I swam up and looked right into his eyes and he looked right back with a deep, gloomy frown. Years later, when I received the manuscript for The Pout-Pout Fish, that memory bubbled up. I realized, at that moment, that Mr. Fish was an actual fish, living on the other side of the world, 80 feet down on a shipwreck. When there’s a new Pout-Pout story to illustrate, how do you collaborate with author Deborah Diesen? It may seem odd but I don't communicate with Debbie regarding the illustrations. I work with are the Editor (Janine O'Malley) and Art Director (Roberta Pressel). When I initially receive a manuscript I'm given complete freedom to break it down into pages and to illustrate it however I think best. After I complete the first dummy (a mock-up of the book) I send it to Janine and Roberta. That begins a long series of feedback and changes until we get to a version that we're all happy with. At that point I begin the final art that will eventually be delivered to make the book. The items in the shop and the gifts Mr. Fish imagines in this story are so detailed and quirky. How did you come up with them? Did you have a specific inspiration?For the imagined gifts, I drew on my own experience as a kid where I would dream up magnificent presents for my family and friends. Eventually, as with Mr. Fish, I would have to confront reality and drastically scale back my plans. The shop items are based on all the goofy stuff you can find on the shelves of some of the more interesting gift shops. What do you think will be the ultimate fate of your work? Five billion years from now, when our sun has blown up and the Earth is a smoldering chunk of charcoal, humanity will hopefully have escaped to another planet. Perhaps, packed away in one of the zillions of moving boxes will be an old, dusty copy of "The Pout-Pout Fish". Maybe then, some remnant of my wandering soul will smile as a genetically enhanced child stumbles across it and cracks open its ancient spine. 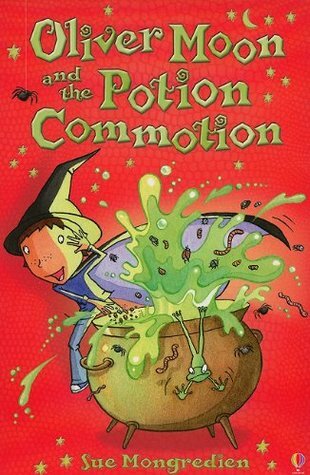 For young readers who enjoy fantasy stories involving witches, wizards, and magic potions and mishaps, the Oliver Moon series makes for a great introduction to that world. 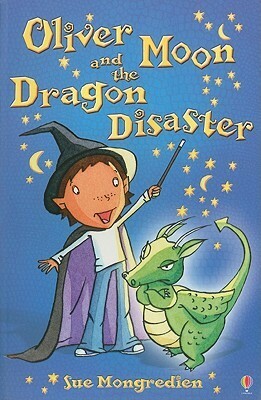 I would especially recommend this series for young readers who want to read Harry Potter but aren't ready for it yet. 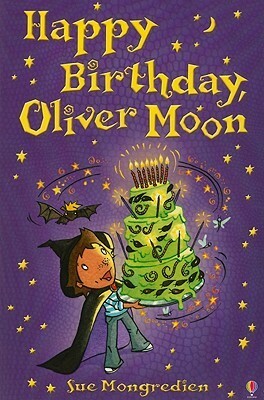 Oliver Moon is a young wizard who lives with his parents and little sister, Witch Baby. And like Harry he has to use his ingenuity to solve various problems, some of which are of his own making. 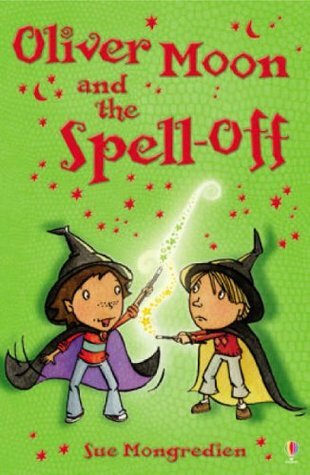 In the books seen above, Oliver has to deal with pranks around the house, training a dragon for a parade, trying to 'retrain' his parents into a proper wizard and witch, as well as dealing with a duel with a competitive fellow student and his own birthday party. There is lots to enjoy here with plenty of fun black and white illustrations to break up the text and amusing fantasy details. Sandra Markle has done it again. She's written a book that tells a fascinating story of science in action. 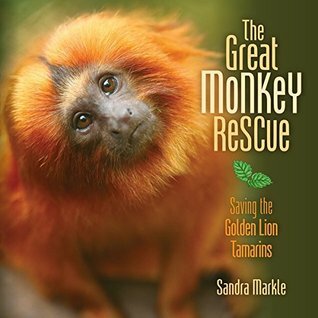 I really enjoyed learning about the Golden Lion Tamarin and the efforts that are going into saving the species. It's remarkable to me the dedication that people show towards other creatures on this earth. I also appreciated the beautiful photographs, maps, diagrams, and other helpful text features that helped demonstrate the size of the problem and the challenges that those trying to solve the problem are facing. The book is not only informative but beautifully designed and easy to read. A fabulous addition to any library collection. 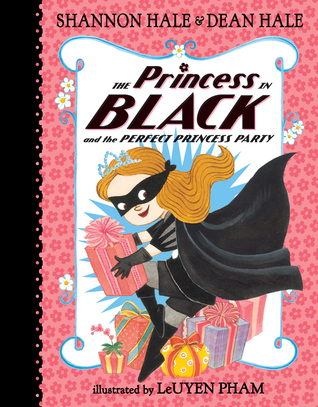 I'll start by saying that this is one of my all time favorite early chapter book series and all libraries that serve young readers should have it. Not only is Princess Magnolia the perfect blend of beautiful, kind, sparkly princess but she's also rough and tough when she needs to be. After all, those monsters don't seem to speak any other language, although hysterics seems to have an impact as well. Princess Magnolia does her best to be in two places at the same time (her birthday party and the goat field) but things just get harder and harder until finally she just loses it. I think anyone whose been pushed too far can relate to Magnolia's frustration, adult or child. I've also found when reading this out loud (which is an utterly delightful experience, especially if you use varying tones) that girls and boys love this equally. And why not, it's got enough princess frills to satisfy the softest heart and enough fighting and action to satisfy the adventurous heart. Highly recommended. Mom’s Choice Gold Award Winner! Your child will light up with joy when they see their name woven into the story with Santa and his elves! Give the gift of a personalized storybook this year by turning your son or daughter into the star of this exciting new holiday classic that soars through Santa’s journey as he delivers presents. 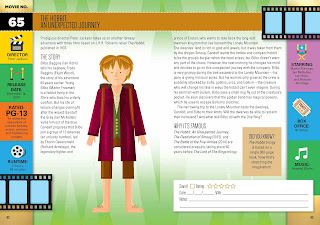 Personalize the story with your child’s name and create a special dedication page with a photo and message from you. Your little “deer” will always know how dear they are to your heart with this special personalized book! Show your little star how bright they shine with Sandra Magsamen’s Our Little Deer—personalized with your child’s name and photo, and a special dedication page with a message from you! Share a whole lot of love with your little “deer” this holiday season and all the way through the years ahead! It's interesting that two picture books sharing the same story happen to come out the exact same year. On the other hand it creates an interesting challenge to compare the two as they tell the same story but not the same way. Finding Winnie is told by Harry Colebourn's real-life great granddaughter which lends this version an interesting depth to it, especially as the story is told by the author to her son Cole. Cole interrupts the story several times to make comments and ask questions which creates a book that is a story within a story. I enjoyed both stories. And Sophie Blackall's illustrations are adorable as one might expect. I think one of the things I liked best about the book is the way stories connect with other stories the way they really do in real life. This makes for a different take on a fascinating true story that would be very valuable for a teacher. A book like this is perfect for inspiring children to write or tell his/her own stories. Who could care for a bear? When Harry Colebourn saw a baby bear for sale at the train station, he knew he could care for it. Harry was a veterinarian. But he was also a soldier in training for World War I. Harry named the bear Winnie, short for Winnipeg, his company’s home town, and he brought her along to the training camp in England. Winnie followed Harry everywhere and slept under his cot every night. Before long, she became the regiment’s much-loved mascot. But who could care for the bear when Harry had to go to the battleground in France? Harry found just the right place for Winnie while he was away — the London Zoo. There a little boy named Christopher Robin came along and played with Winnie — he could care for this bear too! 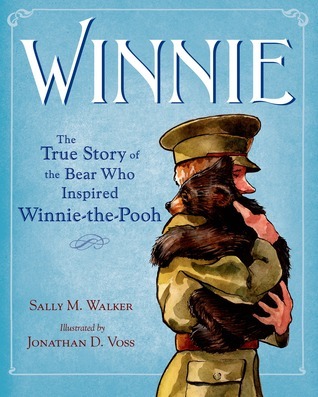 Sally Walker’s heartwarming story, paired with Jonathan Voss’s evocative illustrations, brings to life the story of the real bear who inspired Winnie the Pooh. 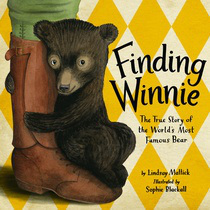 One of the major differences between this book and Finding Winnie is the inclusion of photographs for the endpapers. For me this helped the story feel more real. In addition, the illustrations in this one were more appealing to me. This version of Harry and Winnie's story also includes different vignettes than the other, which makes the two books very complementary. It would be fun to read both to students and have them compare the two because while they both tell basically the same story they do it in very different ways. 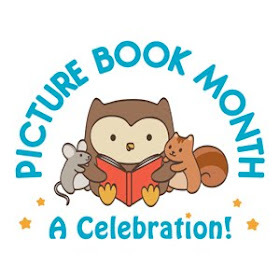 This could lead to some fabulous discussions about choices that authors and illustrators make when they create a book. 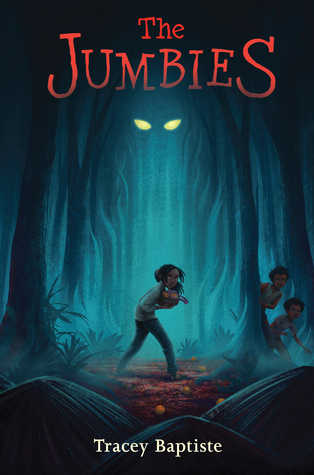 With its able and gutsy heroine, lyrical narration, and inventive twist on the classic Haitian folktale "The Magic Orange Tree," The Jumbies will be a favorite of fans of Breadcrumbs, A Tale Dark and Grimm, and Where the Mountain Meets the Moon. It's refreshing to read a scary book with a different twist. I thoroughly enjoyed this one what with the gutsy main character, Corinne, and the Caribbean folklore angle was fascinating. It's fun to read a book that I don't feel like I've read before. The friendships Corinne makes, the concept of the jumbies, and the orange trees. Seeing Corinne come into her own while facing off with both the jumbie and the local witch made her an easy character to root for. There are more than enough twists in the story to please young readers and the action starts from the very first chapter. I think we need more books like this one that not only provide an entertaining story but a glimpse into a different culture. The author's note at the end about the origin of the jumbie stories was just as interesting as the story. There's enough creepiness here to satisfy most readers without going over the deep end. A great addition to any collection. 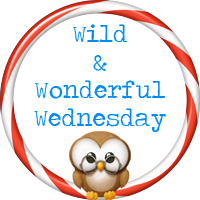 Suzette Valle is an award-winning mother of two and freelance writer focusing on family entertainment. She graduated with a B.A. from the University of San Diego, and has a Master's Degree from Oxford University, England. 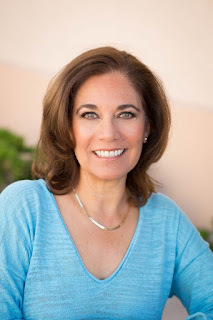 Suzette has been a director and board member of several non-profit organizations in her community, including the Parent Teacher's Association, Islander Sports Foundation, and is currently a board member of the San Diego-based international charity Foundation for Women. She also has her own blog, Mamarazzi Knows Best.com, where she writes about parenting in a celebrity-driven society and all aspects of entertainment. She is a featured Hollyblogger at the award-winning Hollywood publication The Wrap.com where she contributes film reviews, interviews with celebrities, and has covered and written about pop-culture events like Comic-Con International where she's interviewed actors, directors, producers and writers about current and upcoming projects. Her articles have been featured on YahooMovies.com, MSNentertainment.com, and REUTERS among others. She wrote over 30 articles for the monthly column Parent Talk for AOL's Patch.com, and headed this publication's Parents Council in her community. Suzette lives in the seaside town of Coronado, California. This enchanted island is also known as the Emerald City because L. Frank Baum, author of The Wonderful Wizard of Oz, penned several of the Oz books here. Suzette enjoys watching movies, and walks on the beach with her husband of 25 years and Bella, her adorable dog. I wasn't sure about this book when I picked it up. After all, people have a wide variety of different tastes when it comes to movies, kids included. 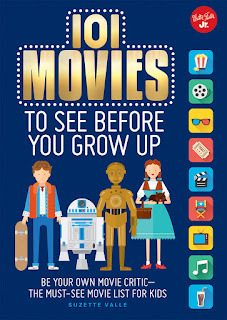 But I found myself wanting to see some of the movies as I read about them. Even ones that I've already seen. I appreciated how the author included not only a detailed description of the movie (without spoilers), but also information about directors, ratings (including reasons for the rating), and the date of production. In addition, she includes an interesting fact about each movie. The movies are divided up into the following categories: family, action/adventure/drama, musicals, sports, school, and documentary/history. 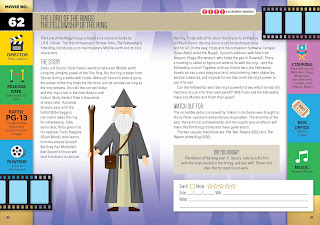 Each movie also includes a brief section for the reader to include his/her own rating and thoughts on the movie. 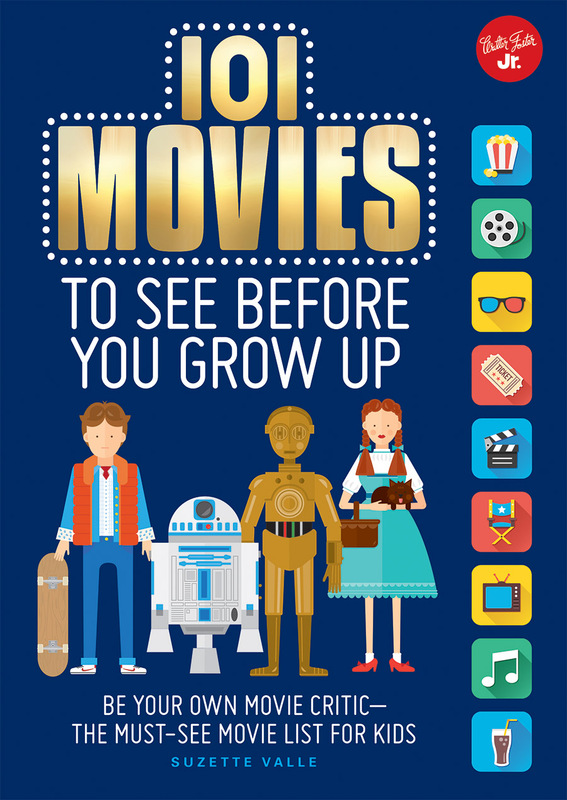 While I don't agree that all of these movies are kid friendly, there are quite a few that are, and of course it will depend on the individual child. A nice resource for those who want to check out a list of fun movies to watch. I do recommend parental involvement though as some of the recommended movies are PG-13. One of the best Sunday afternoons I spent watching movies as research for this book was with my grown son Alex, 23, watching “The Hobbit” franchise. I had avoided getting caught up in the Peter Jackson-created worlds for a long time, but I had to see why these films had such a following. My son explained many of the details, and together with the research I had done already, I was compelled to keep watching. 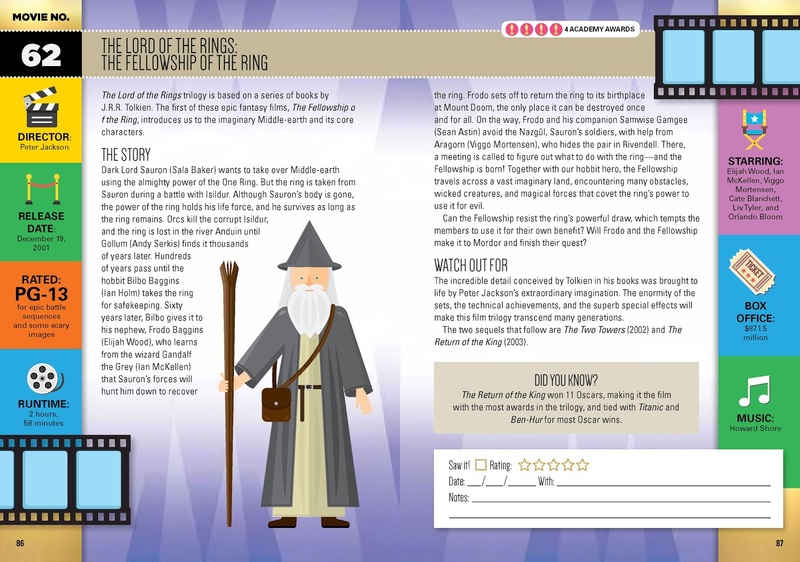 We then dove into “The Lord of the Rings,” another franchise I had resisted watching. Realizing that these films were based on books by J. R. R. Tolkien published in 1937, I immediately regretted not having joined the buzz when these films were at the height of their popularity. I hope to inspire families to spend time with their own kids watching these fantastic fantasy films -- they are an incredible journey (pun!) to take from the comfort of your own home.